We take a look at the Fujifilm Instax SQ10, which enables you to preview images before printing them. The Fujifilm Instax SQ10 is a first for Instax cameras - an instant camera with a built-in screen for reviewing your photos before you choose to print them. 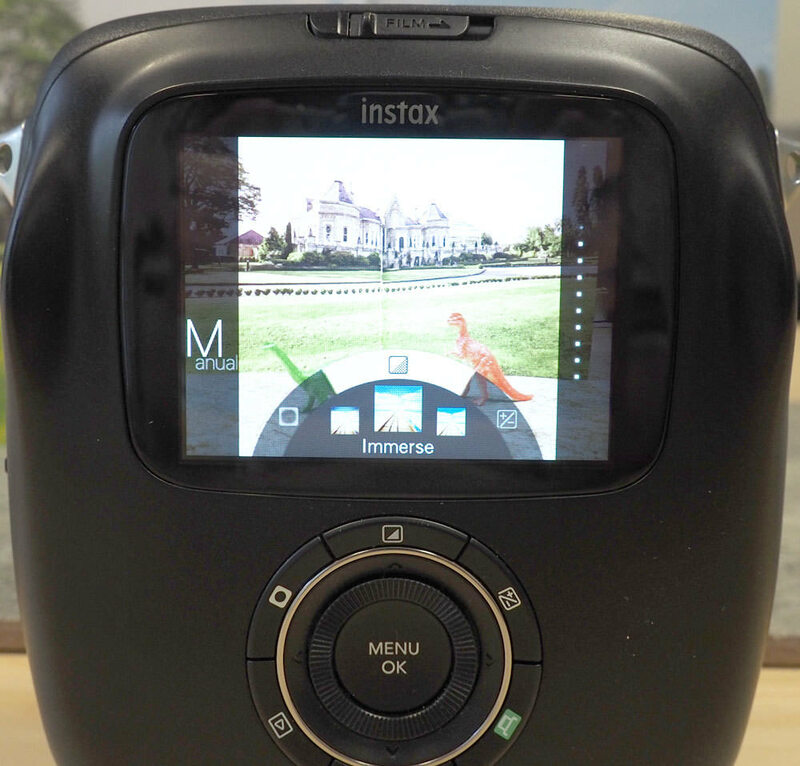 A hybrid between an instant camera and an instant printer, it takes the guess work out of instant photos. It's available for £246 with 10 shots of film. Here, we take a look at how it performs. 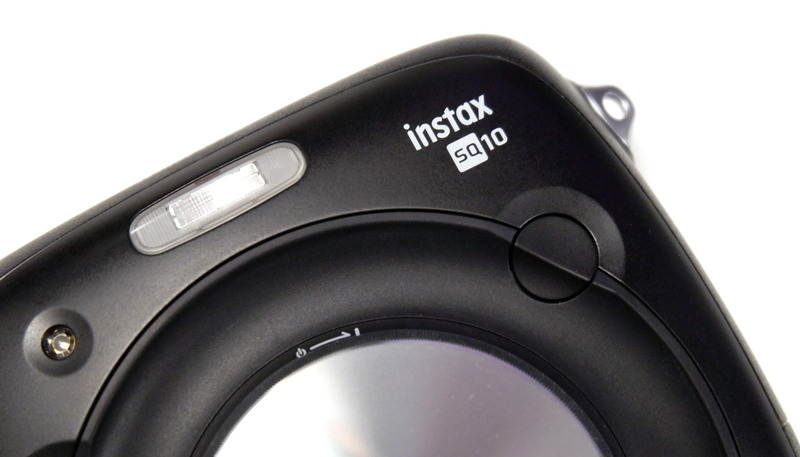 The Instax SQ10 sports a 1/4 inch CMOS sensor with 1920x1920 pixels. It has a fixed aperture of f/2.4, making it a relatively bright lens. There are no manual camera settings but there is an ISO range of 100 to 1600 and shutter speed of 1/29,500 sec to 1/2 sec which the camera will choose automatically depending on the nature of the shot. The camera can focus as close as 10cm to infinity. There are several different flash settings and standard, double exposure and bulb shooting modes to choose from. The camera is quite chunky, measuring 119mmx47mmx127mm (WxDxH). Around the lens on the front is a metal disk with a serrated edge - turning this turns the camera on and off. Around this, there is a rubberised dip for gripping and on either side of this are the dual shutter buttons. Above these in the centre is the flash. There are several flash options available including auto, forced flash, suppressed flash, slow synchro, red eye & slow. There are also self-timer options of 2 seconds and 10 seconds. On the back is a 3 inch LCD monitor, with 460K dots, and underneath this is the control dial. There is a central button for selecting and a scroll wheel for going through your options. Surrounding this are 6 buttons, letting you access options for filters, vignette and exposure, see images you've already taken, print the image you've just taken and go back. On the screen, you can see the mode you've selected on the left (Manual or Auto print), and on the right are a series of dots showing you how many photos you have left to print. Film is loaded from the back by pressing down the small button and sliding the catch to release the door. On the left-hand side is the auto/manual switch. Auto mode will print out images instantly as soon as you take them while manual mode allows you to just take images and go through the menu to tweak them and print later if you want. Also on this side is the battery compartment. 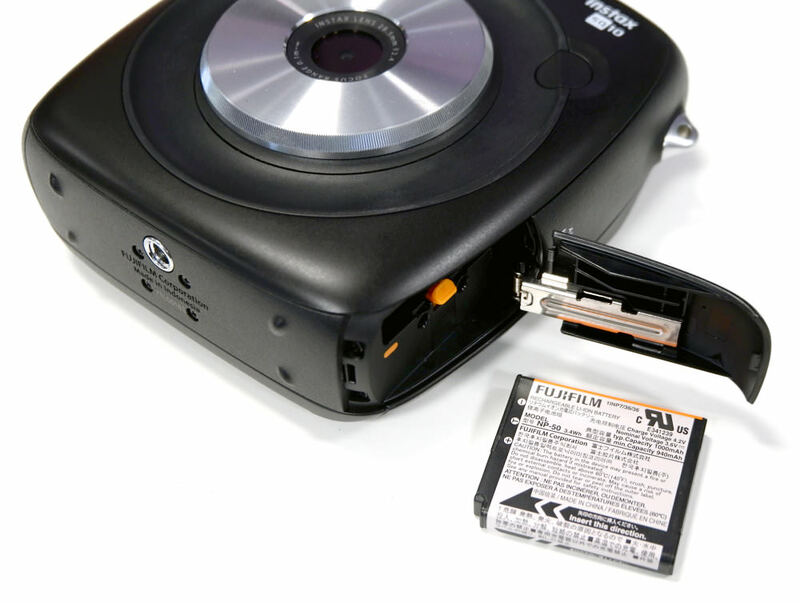 On the right-hand side, there is a compartment for a MicroSD card - the camera can hold 50 images without one, but if you want to save the images to a PC it's not possible to do this via the cable so MicroSD use will be necessary and charging dock. On the top is where the film feeds out of and on the bottom is a tripod mount. 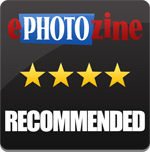 There are 10 filters available, including monochrome, sepia, marmalade and Highline. These can be previewed before you take an image, and they can also be added after you take a photo too. There are also brightness and vignette controls with various strength options which can be applied before or after capture too. A half press of either shutter button focuses the image and a firm press captures it. 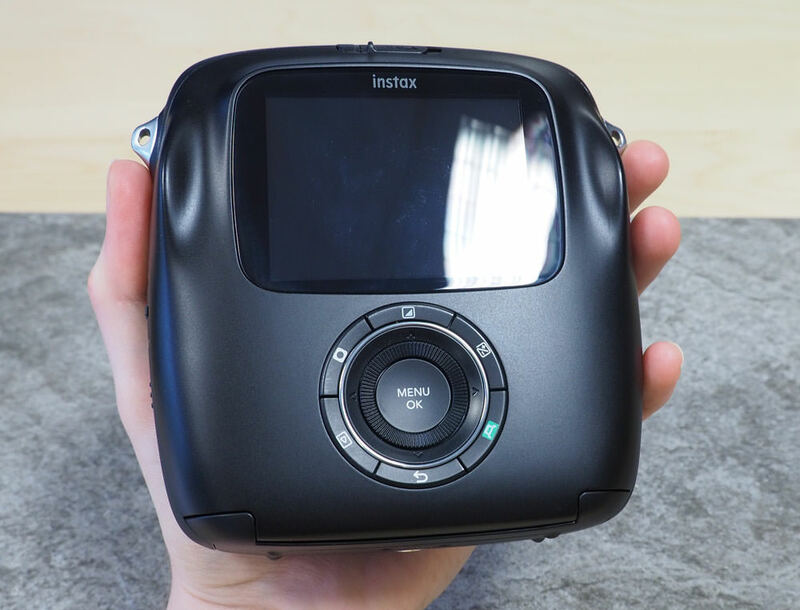 The Fuji Instax SQ10 is a chunky camera and because of the dual shutter buttons, is laid out ergonomically. You feel a little childish holding the camera with both hands - the styling is a little junior, however, everything is easy to operate. It's easy to figure out the menu options and having the scroll wheel to choose filters and effects is a nice touch. One niggle we had was figuring out how to return to the shooting screen once you have finished looking through your saved images, as the expected method of pressing the back button or simply pressing the image preview again doesn't work. It took us a while to figure out that in fact pressing the shutter button returns you to the shooting screen, which makes sense but it would also be nice to be able to return to this screen by pressing the back button. The ability to be able to switch off automatic printing of images is a really nice feature and I found it especially useful when experimenting with double exposures, which can often turn out messy when taken ad hoc. You can either add filters before taking an image or experiment with them after, to see which one suits an image best. Once printed, images take about 5 minutes to develop. The camera weighs 450g, which is a fair weight but taking into account the mechanism this needs to print images and the screen and metal front, this isn't too bad. Images are printed quickly, in 12 seconds to be exact, and when developed, have a rich and vibrant colours, depending on the filter you apply of course. There are a huge variety of different exposures that you can apply - when printed these are true to what you see on screen if a little richer. When photographing in high contrast situations, the camera is liable to blow out the light background and some highlights can appear blown too. However, this adds to the retro feel of the images. Image size comparison - Instax Wide photos measure108x86mm, Instax Square photos measure 86x72mm and Instax Mini photos measure 54x86mm. Here is a sample gallery of images from the camera, if a MicroSD card is used then they can simply be saved to your PC. Images can only be saved in their original state, without filters or effects applied. The camera feels well built despite being plastic and the pre-focus and full press of the shutter button is satisfying. The screen is bright and has a satisfying resolution. It's large enough to allow you to preview images easily. It would be nice if the screen was a square format like the images, as at present it has two greyed out strips down either side to emulate this. The battery takes 4 hours or so to charge and this should give you enough juice to produce 160 prints, depending on the conditions of use. The Fujifilm Instax SQ10 is available for £235 from Amazon. 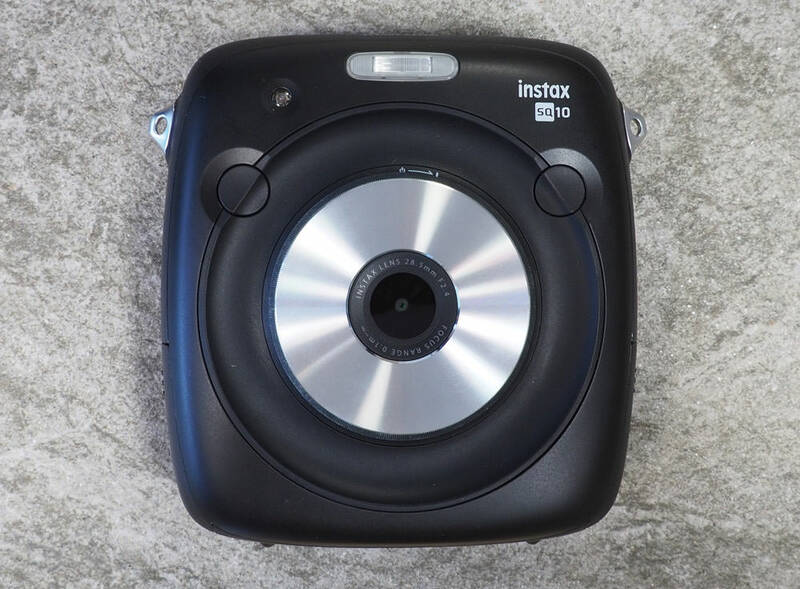 This is quite a high price for an instant camera, however, if you love taking selfies, want the square format and want the ability to check your images before you send them to print, it's quite a unique product currently. 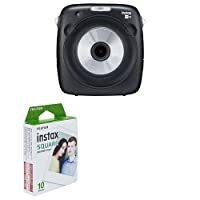 Square format Instax film is available at £8.99 for a pack of 10, which is on the high side compared to £13.89 for 20 shots of Instax Mini film. Another instant camera featuring a screen is the Polaroid Snap Touch, available for £159.99. It also captures video but only prints 2x3 inch Zink paper photos, which are flimsy. If you already have photos on your phone that you'd like to transform into instant cameras then the Instax Share SP-2 printer is an option, allowing you to print smartphone images via an app onto credit card size instant snaps. It's available for £142.99. If seeing your images before printing them isn't a priority, then there are a wealth of other Instant cameras available. Take a look at our Top 7 Best Instant Cameras for some inspiration. 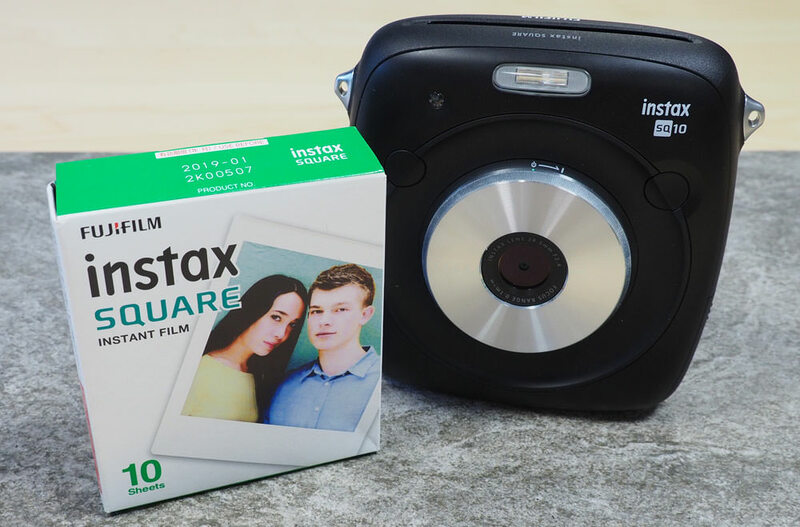 The Fujifilm Instax SQ10 fills a niche in the instant camera market - being able to see your images and apply filters to them before hitting print. If you love the square format and the ability to add filters to your images without having to use an app on your smartphone, then the camera is an ideal tool. It will be great for kids, teens and adults alike who may not want the fuss of connecting a printer to a smartphone and want a portable, all in one package. The camera is quite large but will happily fit in a large handbag or rucksack for a day trip without too much trouble. Results are pleasing and the square format has a real retro feel that we love. Being able to add filters and effects adds a new layer to the fun. Despite being bulky and having a slightly odd navigation system (having to press the shutter button, not back or play buttons again to return to the shooting screen), we enjoyed using the camera and found it great for unleashing our creative side without too much fuss. It would be nice to be able to make more of the digital side of this interesting hybrid, perhaps by introducing Wi-Fi or Bluetooth to enable you to share photos digitally and also print photos from these platforms. The ability to be able to preview images also allows you to be more choosy with what you print, allowing you to conserve film and avoid printing out dud images, which can be a waste especially when square format Instax film works out at 89p per print! 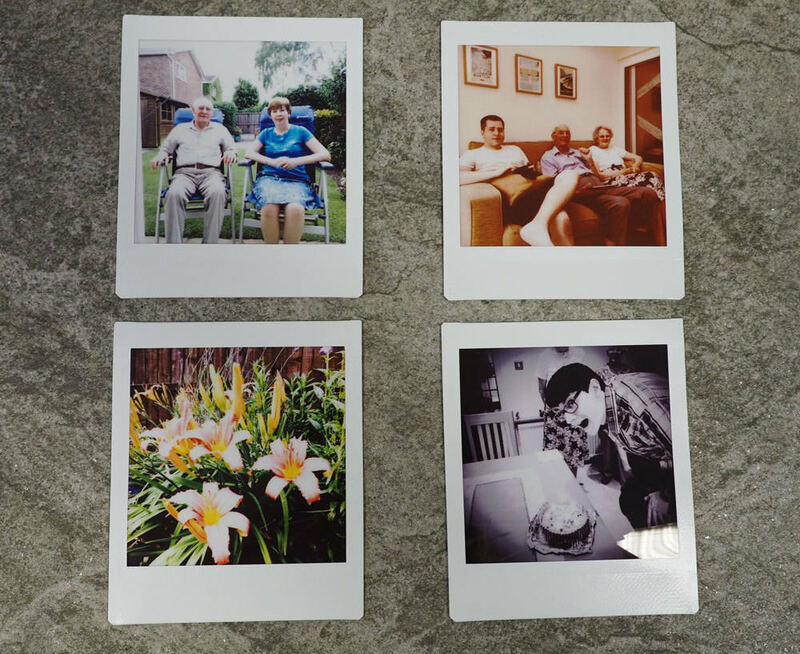 The Fujifilm Instax SQ10 is a fun camera with lots of built in effects that allows you to preview instant photos before printing them.